Check out this AWESOME Dracula t-shirt available from outofprint.com. This company is AMAZING! They have a plethra of literary gifts from socks to totes to boxers to mugs to pins to baby onesies. And their collections range from Harry Potter to Poe. They’re worth checking out! A tshirt will run about $30 and sizes vary from XS - 4X. The women’s shirts are a bit snug, so I’ve bought the men’s shirts and they’re great! Okay, I admit. I put these writing gloves on my Christmas list. And the scarf? Yeah, I’ve been wanting one of these for awhile. But let me back up. Have you heard of Storiarts? 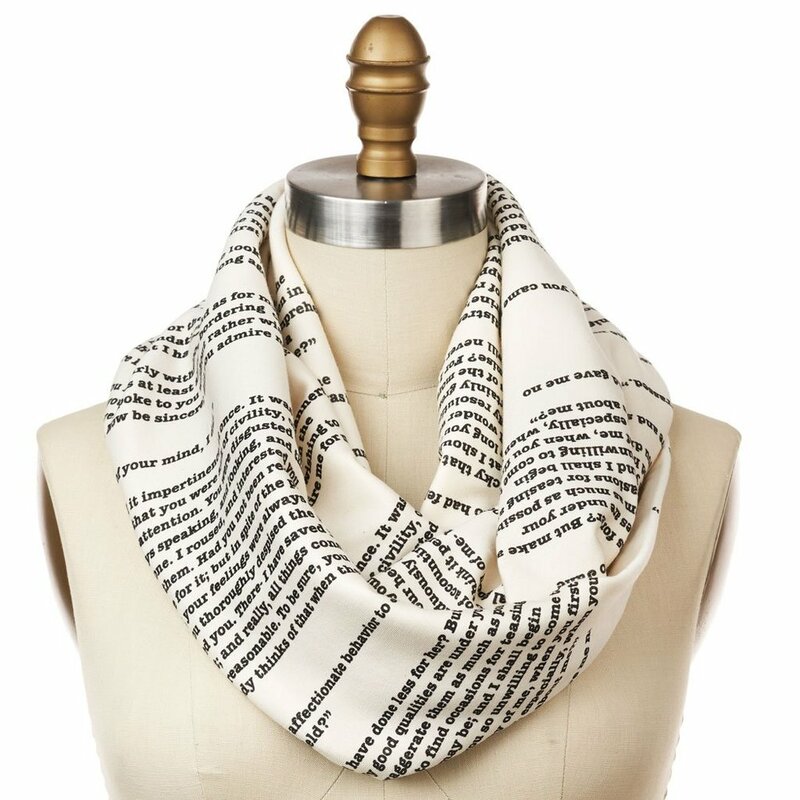 They’re known for their literary scarves, but they’ve extended their brand to include gloves, totes, pillows, tees and even a few baby items. I’ve bought the scarf for a friend (totally almost kept it for myself) and I can attest to their high quality. 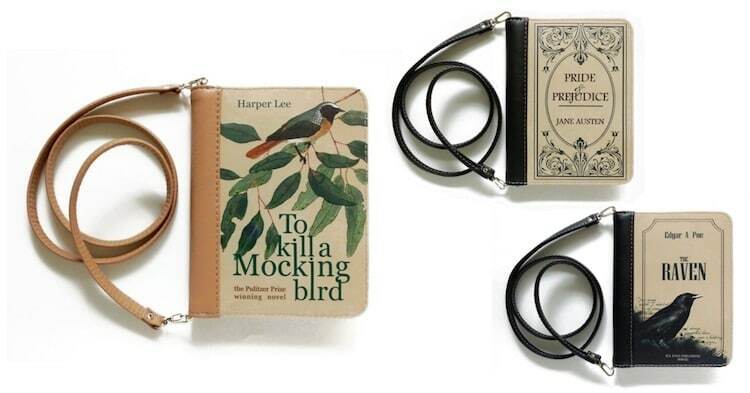 Their products are more geared toward the classics, with collections such as Alice in Wonderland, The Raven, and The Great Gatsby. But they add new items and collections regularly, so keep an eye out! They’re a bit on the pricey side, but sign up for their newsletter so you get an alert when sales are approaching. The scarves usually run $48 and the gloves are $26, without a sale. This is such a fun and unique gift! It’s a chart of literary insults from some of the great writers. Oscar Wilde, Mark Twain, Shakespeare, even Charles Dickens lend their snark to this 24" H x 18" W poster. Only the poster is included, so you’ll have to decide if you want to put it in a frame or simply tape it to your wall, but either way, a literature fan will get a kick out of this awesome gift! Let’s talk stocking stuffers. How about Lady Macbeth’s Guest Soap? You can find this coca butter scented soap for $4.46 from The Literary Gift Company. And while you’re on the site, check out their wide selection of pencils, mugs, socks, pins and more! I love these bookmarks so much! I have the Edward Scissorhands one, but there are SO MANY to pick from! These just one twist…you’re book lover should be into horror because these bookmarks will spook ya! And you need to scoop them up fast, because they go QUICK! But the seller is amazing, ships them out fast, and restocks on a regular basis. So if you miss out on your Stranger Things or Jaws or Krampus bookmark, don’t worry! But what I love most, isn’t just the design. They’re a sturdy, well crafted piece of art that can not only holds your place in a book, but spice up your work place! Buy through her etsy shop A Stranger Dream and prices tend to be around $5.00 / piece. These are super cute and fun literary coasters. From Gone With the Wind to Jurassic Park, these coasters are perfect for the book lover. They’re made from upcycled and discarded wood with laser engraved artwork. Each is unique and sealed in a semigloss finish. They’re $20.00 for two coasters from CuttingBoardem on Etsy.